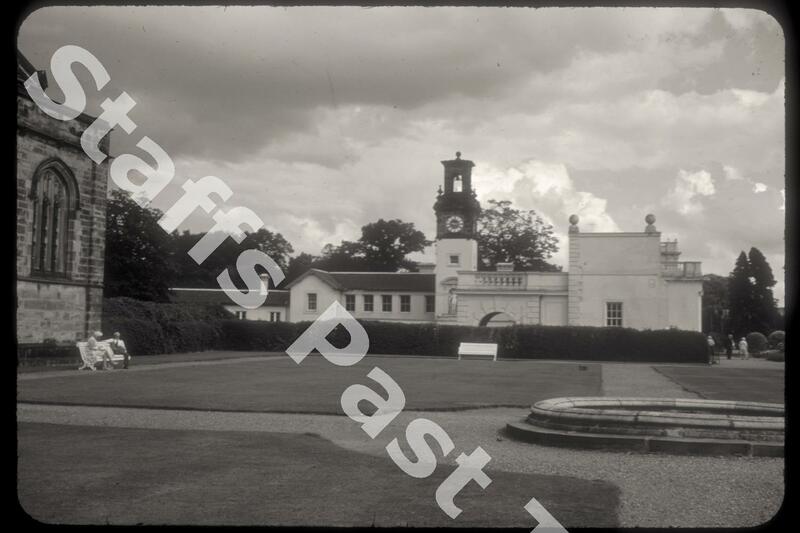 Description:Looking east from outside Trentham Church towards the coach yard and estate clock tower. The lawned area in the foreground was part of Charles Barry's terrace. 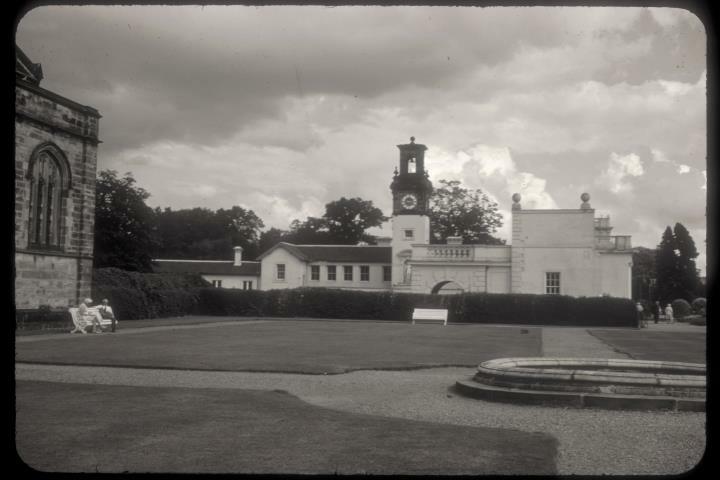 On the right is the end of the sculpture gallery and orangery. Off the photograph to the right is the Italian garden and the lake. This area of the Hall was the last to be completed, in the 1840s and 1850s. The clock in the tower reputedly chimed to remind estate workers of the time. In front of the tower is the arched coach entrance to the gallery.